During the summer these tours sell out weeks in advance for most times. Please call if booking within 2 weeks to double check available times as agents may be able to check for times not listed or openings from cancellations. This is the perfect activity combo package for thrillseekers! 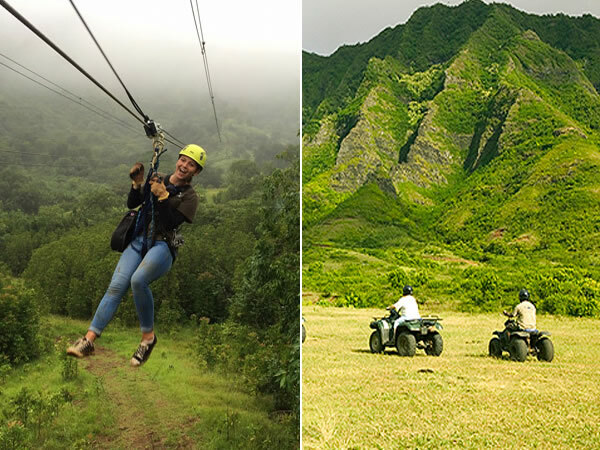 Enjoy a guided one-hour ATV tour at Kualoa Ranch and try their brand new zipline trek, which includes seven exciting zipline runs in total. Zip through one of Oahu’s most beautiful locations and enjoy views of native flora and fauna. 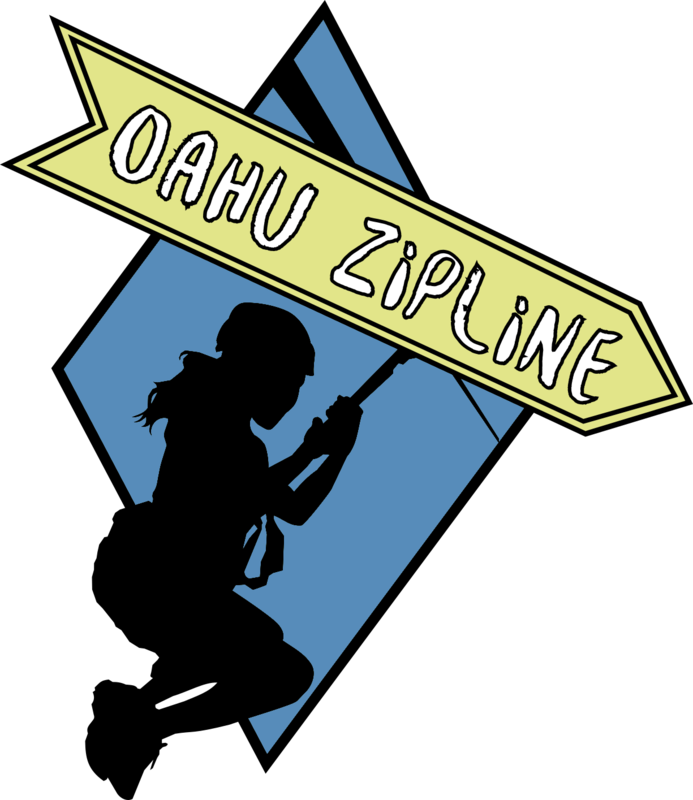 The Treetop Canopy Zipline Tour at Kualoa Ranch features ziplines that range from 200 feet and up to a quarter mile in length. 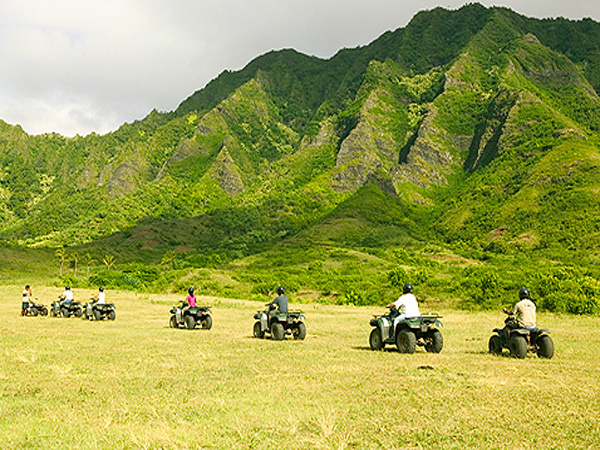 Then hop on an ATV (all-terrain vehicle) and drive along scenic rainforest trails with fantastic views of the Koolau Mountains, where numerous Hollywood movies and TV shows have been filmed. 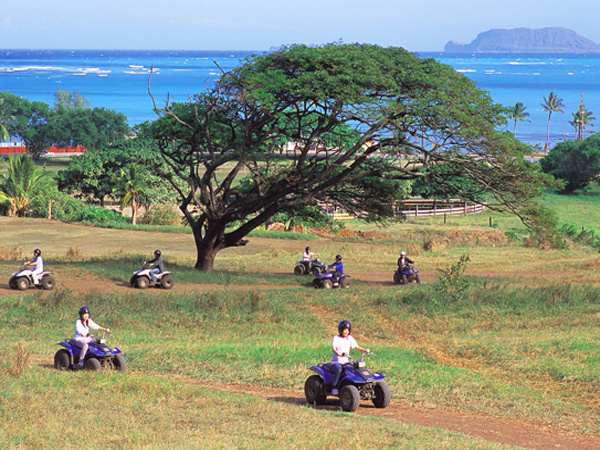 Roundtrip transportation from Waikiki to Kualoa Ranch is available (please put the number of people needing transportation in the box next to the transportation price before adding the activity to the cart). 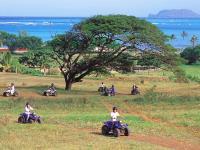 Waikiki pick-up for any tours will be between 6:50 am and 7:30 am, or at 10:00 am. Return times are available at 2:30 pm or 3:45 pm. Long pants & sunscreen are highly encouraged.  Please note that Waikiki transportation is not available until September!